The Chemistry Department takes its pride in having a proficient team of faculties and excellent student-Instructor relationships. The strength of the department lies in the motivation, dedication and expertise of the faculty members. 1. Dr. Kavita Joshi, Sr. Scientist, National Chemical Laboratory, Pune, visited the campus and delivered a talk on March 29, 2016. 2. Prof. Brindaban C. Ranu, Indian Association for the Cultivation of Science, Jadavpur, Kolkata, visited the campus and delivered a talk on November 5, 2015. 3. Dr. V Balaram, Scientist Emeritus, CSIR - National Geophysical Research Institute, Hyderabad, visited the campus and delivered a talk on October 27, 2015. 4. Prof. Benjaram M Reddy, Chief Scientist CSIR- Indian Institute of Chemical Technology, Hyderabad visited the campus and delivered a talk on October 9, 2015. 5. Dr. Pushpita Ghosh from Center for Theoretical Biological Physics, Rice University, USA delivered a talk on July 7, 2015. 6. Two new labs, (a) Spectroscopy, (b) Materials Chemistry & Catalysis were inaugurated on May 8, 2015. Lecture by Prof. C. P. Rao, Department of Chemistry, IIT-Bombay, Aug 31, 2016. Alchemy, The Chemistry Association was formed in 2008 with an inaugural talk on Green Chemistry by Prof. V. S. Rao. 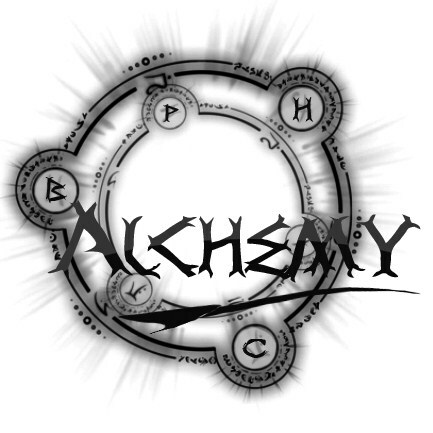 Alchemy also brings out a newsletter called Chemistry Chronicles and a semester magazine called Elixir. Under the auspices of Alchemy, various events are being organized every semester. 1. Oxy-Wittig Reactions of 1-Naphthyl(aryl)methylphosphonates: A New Approach to Naphthylarylketones M. B. Zubair Khalid, Gangaram Pallikonda, R. N. Prasad Tulichala and Manab Chakravarty Tetrahedron, 2016, 72, 2094. 2. Benzylic Phosphates in Friedel-Crafts Reactions with Activated and Unactivated Arenes: Access to Polyarylated Alkanes G. Pallikonda and Manab Chakravarty J. Org. Chem., 2016, 81, 2135. 3. Computational Study on Thermally Activated Delayed Fluorescence of Donor-Linker-Acceptor network molecules T. Vikramaditya, M. Saisudhakar, K. Sumithra. RSC Advances, 2016, 6, 37203. 4. Acrylate-based Polymerizable Sol–Gel Synthesis of Magnetically Recoverable TiO2 Supported Fe3O4 for Cr(VI) Photoreduction in Aerobic Atmosphere Swapna Challagulla, Ravikiran Nagarjuna, Ramakrishnan Ganesan, and Sounak Roy ACS Sustainable Chem. Eng., 2016, 4 974. 5. The journey traversed in the remediation of hexavalent chromium and the road ahead toward greener alternatives—A perspective S. Kalidhasan, A. Santhana Krishna Kumar, Vidya Rajesh, N. Rajesh Coordination Chem. Reviews, 2016, 317, 157. 6. An ionic liquid-mesoporous silica blend as a novel adsorbent for the adsorption and recovery of palladium ions, and its applications in continuous flow study and as an industrial catalyst Shivani Sharma, Chia-Ming Wu, Ranjit T. Koodali , N. Rajesh RSC Advances, 2016, 6, 26668. 7. Augmenting the adsorption of palladium from spent catalyst using a thiazole ligand tethered on an amine functionalized polymeric resin Shivani Sharma, N. Rajesh Chemical Engineering Journal, 2016, 283, 999. 8. Adsorption of chromium supported with various column modelling studies through the synergistic influence of Aspergillus and cellulose T. Sathvika ,Manasi , Vidya Rajesh , N. Rajesh J. Environ. Chem. Eng, 2016, 4, 3193. 9. Poly (4-styrenesulfonate) templated polyaniline-carboxymethyl cellulose blend: morphology and surface resistivity of the spin coated films T. Nakamura and S. Jayanty Soft materials, 2016, DOI:10.1080/1539445X.2016.1215330. 10. Bis- (1-(2-Amino ethyl)piperidino), (2-(2-Amino ethyl)pyridino) and (1-(2-Amino ethyl)pyrrolidino) substituted dicyanoquinodimethane: Consequences of flexible ethylene spacers with heterocyclic moieties and amine functionalities Raghavaiah, P., Kuladeep, R., Narayana, Rao, D., Jyothilakshmi, A., Srujana, P., Subbalakshmi, J. Acta. Cryst. B, 2016, DOI:10.1107/S2052520616009537. 11. Pulp and Black Liquor Characterization of Subabul Wood after Craftcooking Madhuri, P., Nikhil Sainath, V., Jayanty, S., Adasumalli, R. B. J.Ind. Pulp and Paper Tech Assoc., 2016, 28, 26. 12. Scrambling of Disulfide Bond Scaffolds in neurotoxin AuIB: A Molecular Dynamics Simulation study Durba Roy and Madhavkrishnan L. Biopolymers (Peptide Science), 2016, 106, 196. 13. Enzymes’ action on materials: Recent trends Imran Khan, Jayati Ray Dutta, Ramakrishnan Ganesan Journal of Cellular Biotechnology, 2015/2016, 1, 131. 14. Large area sub-100 nm direct nanoimprinting of palladium nanostructures M. S. M. Saifullah, Ramakrishnan Ganesan, Suhui Lim, Hazrat Hussain and Hong Yee Low RSC Advances, 2016, 6, 21940. 15. Synthesis and anti-cancer activity of 1,4-disubstituted imidazo[4,5-c]quinolines Yadagiri Thigulla, Mahesh Akula, Prakruti Trivedi, Balaram Ghosh, Mukund Jha and Anupam Bhattacharya Organic and Biomolecular Chemistry, 2016, 14, 876. 16. Design, synthesis and biological evaluation of 5-(2-(4-(substitutedbenzo[d]isoxazol-3-yl)piperazin-1-yl)acetyl)indolin-2-one and 5-(2-(4-substituted piperazin-1-yl)acetyl)indolin-2-one analogues as novel anti-tubercular agents. Mahalakshmi Naidu, K., Rudresh Naik, G., Chandra Sekhar, K.V.G., Arab.J.Chem., 2016, DOI: 10.1016/j.arabjc.2015.02.025. 17. Multicomponent cascade reaction: dual role of copper in the synthesis of 1,2,3-triazole tethered benzimidazo[1,2-a]quinoline and their photophysical studies. Nagesh, H.N., Suresh, A., Reddy, M.N., Suresh, N., Subbalakshmi, J., Chandra Sekhar, K.V.G., RSC Advances, 2016, 6, 15884. 18. Synthesis and biological evaluation of pyrrolo[2,3-b]pyridine analogues as antiproliferative agents and their interaction with calf thymus DNA. Suresh, N., Surendar, C., Bhaskara Rao, B., Mallika, A., Nishant J., Chandra Sekhar, K. V. G., Eur. J. Med. Chem., 2016, 114, 220. 19. Seeking potent anti-tubercular agents: Design,synthesis, anti-tubercular activity and docking study of various ((triazoles/indole)-piperazin-1-yl/1,4-diazepan-1-yl)benzo[d]isoxazole derivatives. Mahalakshmi Naidu K., Srinivasarao, S., Agnieszka,N., Ewa, A-K., Chandra Sekhar, K.V.G., Bioorg. Med. Chem. Lett., 2016, 26, 2245. 20. Design, Synthesis and Biological Evaluation of New Substituted Sulfonamide Tetrazole Derivatives as Antitubercular Agents Suresh, A., Suresh, N.,Misra, S., Krishna Kumar, M. M, Chandra Sekhar, K.V.G., Chemistry Select, 2016, 1, 1705.